Haven't heard of Stanfield's before? Unless you happen to live in a tropical climate, I expect someone in your family has a garment from Stanfield's. Those old woollen underwear your dad wore every winter—yup—they probably made them. In fact, they became known as "The Underwear Company" for their tremendous success in Canadian market. 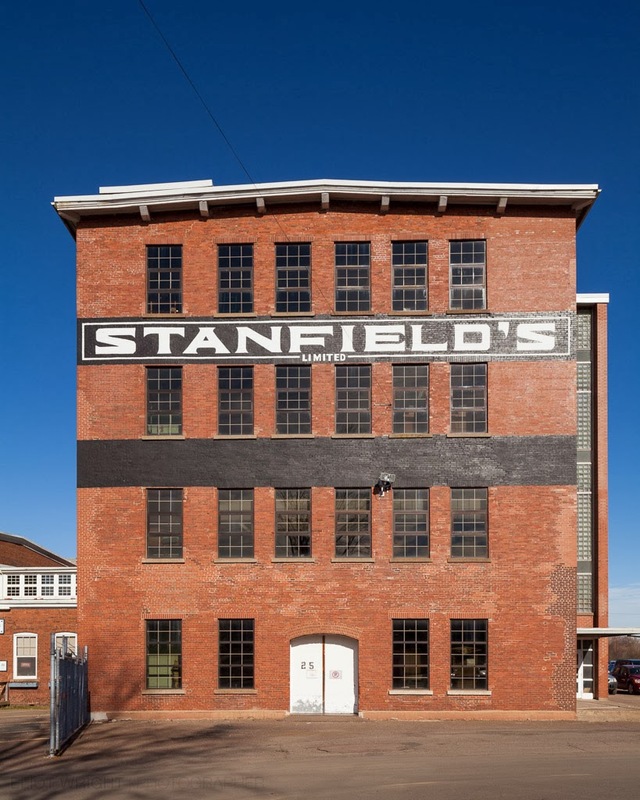 It turns out that Stanfield's Limited actually began as Tryon Woolen Mills in 1856 in PEI and Truro didn't become it's home until 1870. 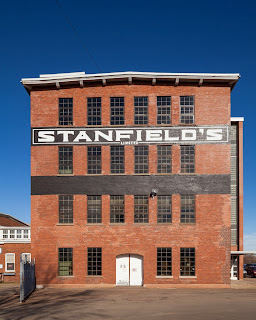 After moving to Nova Scotia the business rebranded as Truro Woolen Mills, and after a number of years and another name change they incorporated as Stanfield's Limited. The Stanfield's facility was one of the nicest locations we've visited this fall. One of the greatest pleasures on the tour was seeing high quality products being produced locally, with such pride and care. 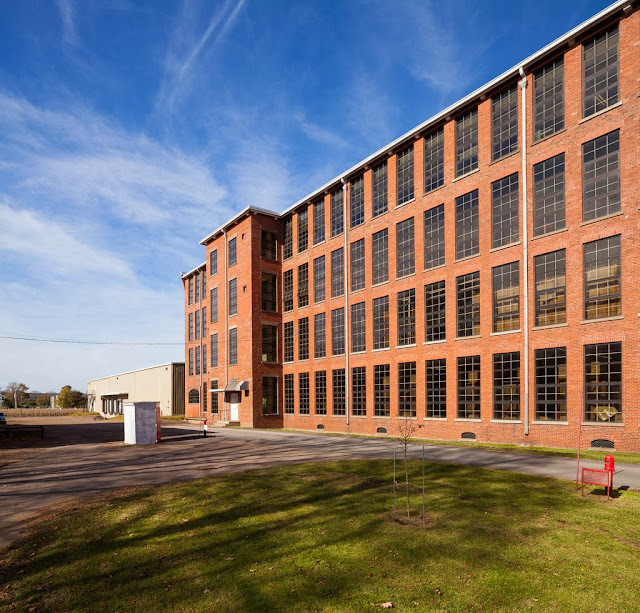 Aspects of the building's 1882 roots were still visible—beautiful brick construction, metal doors, and wood floors—but the old feeling was offset by bright new windows, computer controlled pattern-stamping equipment and laser cuttings tools. However, should you ever get a tour, you can still see many employees working behind their sewing machines and cutting patterns by hand, which one employee explained, "…was the only way there was to do it." Naturally we had to stop in to the outlet store on our way out. There is certainly something comforting about wearing a merino wool sweater that is hand knit, dyed, cut, stitched and sewn less than 100 km away from home!